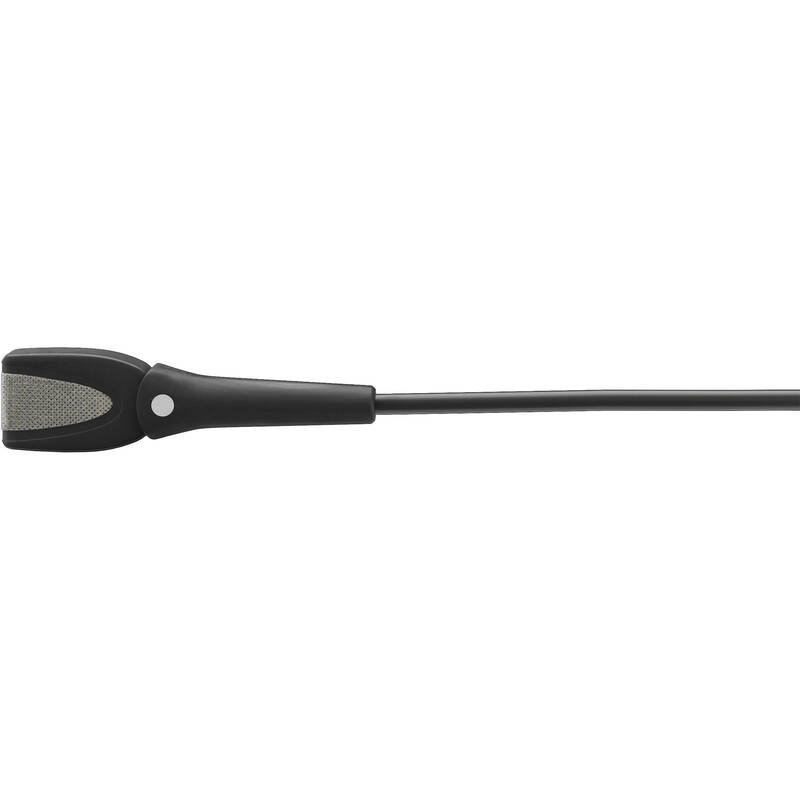 The black d:screet 4161 Slim Omnidirectional Microphone with Hardwired MicroDot Connector from DPA features the same capsule as the d:screet 4061 omnidirectional miniature mic, but in a different housing. This makes it a good choice for any application requiring a big sound from a mic with a small, hidden footprint. It can be used to capture audio for speech, television, and film applications. This mic handles loud sound pressure levels up to 144 dB before clipping occurs and is well suited for situations where the sound source is more remote or dampened, and you need to have a good balance of signal versus noise. When used with the detachable button-hole mount, the mic becomes almost completely invisible. This button-hole mount is placed on the mic head and has a small side-entry pipe making it possible to have the sound enter through a button hole, directly to the diaphragm.